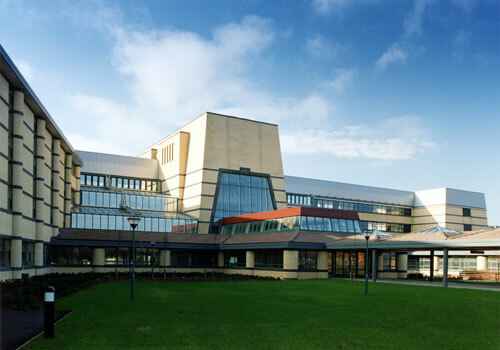 Adult Epilepsy Clinics - Tallaght Hospital (AMNCH), Dublin. Once you have been referred and received an appointment to attend the adult Neurology Department in Tallaght Hospital, you are then reviewed at the adult general Neurology clinics. Throughout the week, there are adult General Neurology clinics for new and returning patients. The general Neurology Clinic is held in the adult Outpatients Department. An appointment letter will be posted out to you specifying the date, time and location. When you enter the hospital, you will need to check in at the electronic check-in point. If you are a patient coming to adult services from The National Children’s Hospital (Tallaght) we will have your paediatric notes. If you are coming from one of the other children’s hospitals we will make up a new hospital chart for you. Your referring hospital or consultant will have sent a report to us detailing all relevant past medical history etc. If you are attending a consultant other than the consultant from your referring hospital you may wish to bring any relevant reports etc. with you. It is important that you bring someone with you to your appointment so they can give witness account of your seizures. We will be encouraging you to start taking responsibility for your epilepsy and to try to depend less on your parent(s) or guardian(s) for same. As you are now an adult we will not discuss any issues you raise with us with another member of your family unless instructed to do so by you.